Serverless Go: A Practical Guide is out! Get both books at a discounted price! the last thing you want to do is set up infrastructure. 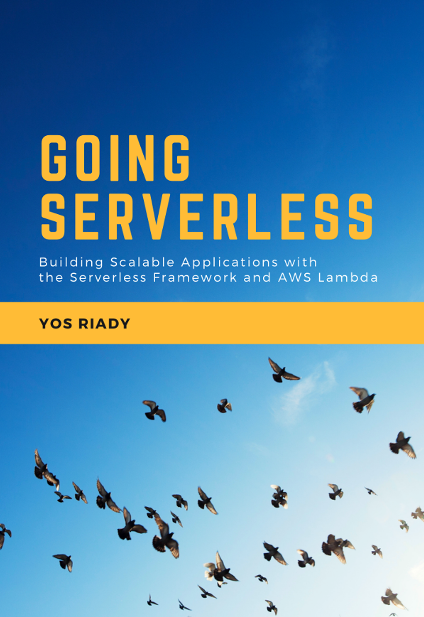 Going Serverless is a practical guide that teaches you how to design, develop, test, deploy, monitor, and secure Serverless applications from planning to production. Serverless architectures replaces long-running virtual machines with ephemeral compute power that comes into existence on request and disappears immediately after use. With scalability and high availability baked in as well as a pay-what-you-use pricing model, serverless is taking software by storm! Learn the history, abstractions, execution model, use cases, benefits, and challenges of serverless applications. The Serverless framework is a toolkit for deploying and operating serverless applications. Focus on code, not infrastructure! 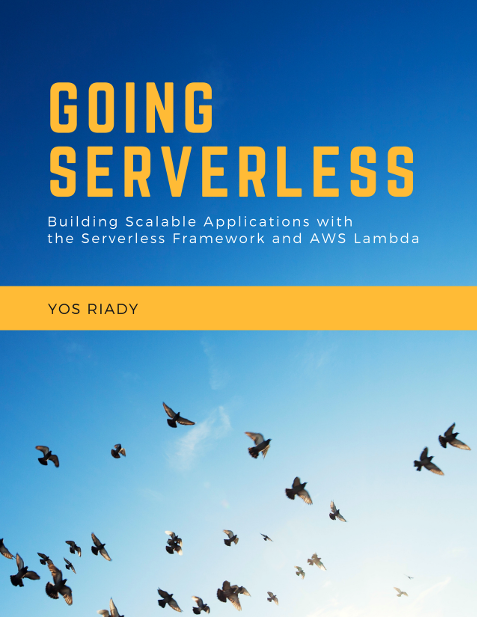 Learn how you can get started building scalable applications with the Serverless framework and AWS Lambda through a total of 8 hands-on chapters. In serverless architectures, tasks tend to be asynchronous, stateless, and ephemeral. Simple but usable primitives and the ubiquity of events leads to the adoption of new, serverless design patterns. Learn how you can make use of the strengths of serverless by applying event-driven data processing, fanout, serverless web applications, and complex workflows with distributed sagas. Authentication determines a client's identity - is the user who they claim to be? Clients present a set of credentials, which may be valid or invalid. Typically, a user verifies their identity with their username and password. Authorization determines what a client is allowed to do. Clients may have presented valid authentication credentials, but they might not have sufficient privileges to perform an action. Each user has a different set of permissions, which limits what they can and cannot do. Learn how you can secure your serverless functions with JSON Web Tokens and AWS Custom Authorizers. In addition, learn how to manage application secrets with AWS Key Management Service. In distributed systems, business transactions spanning multiple services require a mechanism to ensure data consistency across services. Building applications from individual components that each perform a discrete function lets you scale and change applications quickly. However, it becomes a challenge when you to coordinate multiple components to accomplish a single task. Learn how you can orchestrate complex workflows with the distributed saga pattern and AWS Step Functions. Delegating the task of managing infrastructure and provisioning compute capacity to capable hands means that your infrastructure is less likely to fail. However, this does not completely eliminate the possiblity of errors in your application's business logic. Learn how you can detect, store, and take action on errors within your serverless functions using dead letter queues. Unlike traditional applications, in serverless you can't ssh into an instance to debug an issue. The execution environment is outside your control. Thus, having visibility over the health of your functions is paramount in serverless architectures. Learn how you can keep track of function metrics and create alarms that notify you when something's wrong. How serverless came to be and how it compares to traditional compute provisioning. The basic building blocks of Functions-as-a-Service, benefits, drawbacks, and use cases. Learn the Serverless framework: Events, Functions, and Resources. Learn how to set up your AWS account and development environment. You'll build a simple serverless application using the Serverless framework. Learn how to develop, deploy, test, and monitor your Functions. Learn how to apply the event-driven data processing serverless design pattern by building an image processing pipeline. Learn how to apply the fanout pattern to utilize instant burst compute capacity when you need it, by building a web scraping service. Learn how to build both backend and frontend components using serverless technologies. Learn how to add authentication and authorization to your Functions using JWTs and AWS Custom Authorizers. Encrypt your secrets with AWS KMS. Learn how to design and execute complex, multi-step workflows using AWS Step Functions. Learn how to detect and catch critical errors in your serverless applications via dead letter queues and take further action. Track the health of your functions using CloudWatch metrics and receive real-time notifications with CloudWatch alarms. Some additional resources for you to continue your serverless journey. Get an image processing pipeline, a scalable web scraper, and a full-stack application (both backend and frontend) built using serverless technologies. But wait, there's more!TM You'll also get working samples of authorization, error handling, monitoring, and orchestrating workflows with distributed sagas. Read the book on multiple platforms! On your phone! On a tablet! You will receive a copy of the book in PDF, ePub, mobi, and online-ready HTML formats so you can read on your phone, tablet, or laptop. 8 working code samples - just hit deploy! What is this serverless thing you're talking about? 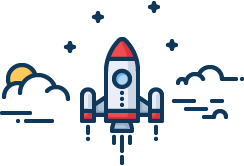 Serverless is a software development approach that allows developers to build scalable applications without worrying about the nitty gritty details of infrastructure (e.g. load balancing, server provisioning, etc.) 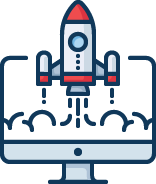 Deploy your code to a Functions-as-a-Service (FaaS) platform, and it scales automagically based on actual usage. Make use of external services wherever possible so you can focus on doing the things only you can do. Yes! You will gain access to a total of eight working code samples when you buy the book. Just hit deploy! AWS Lambda, from Amazon Web Services. The major cloud vendors are here to stay. In addition, the Serverless framework is platform agnostic. That makes switching easier for when you need to move away from a FaaS provider to another. What use cases does the book cover? There are a total of 8 hands-on chapters. Over the course of the book, you will build an event-driven image processing pipeline, a scalable web scraping service, a full-stack serverless application using serverless technologies, and more. Can Serverless used to build a whole web application? Yes. 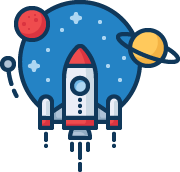 Serverless has already been used by teams all over the world to build full backends for web applications. There's a common misunderstanding that a Serverless function's maximum execution time makes it unsuitable for many applications. In reality, 99% of web application operations finishes in less than 5 minutes (the max invocation time for an AWS Lambda function.) If you need more execution time, you can split the work to several lambda functions in parallel or use AWS Step Functions to manage long-running workflows that can last up to a year. Is it true that using Serverless is cheap? The primary cost savings from Serverless is from the fact that you don't pay for idle compute time. In addition, you also save on time you would have spent on operating a high available and scalable infrastructure, as well as the initial architecture setup. Cost savings will largely depend on your use case and traffic usage patterns. Yes! The book is available in PDF, ePub, mobi, and HTML formats. Anyone who purchases the book will have access to all formats. Yos Riady is a software craftsman who enjoys building products from planning to launch and beyond. He finds Serverless fascinating and lives in Singapore.